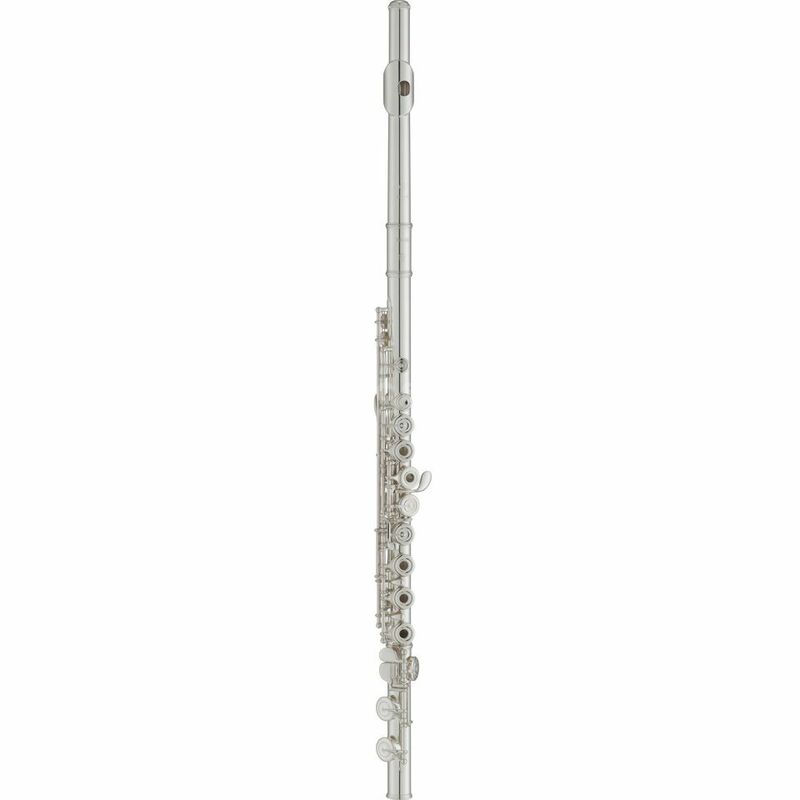 The Yamaha YFL-372 Flute is a flute, with a C tuning, and sterling and nickel silver components. An inimitable blend of leading technology and craftsmanship goes into each and every Yamaha flute. The YFL-372 features pointed key arms contributing to an elegant aesthetic and a completely revised key crafting process that significantly enhances overall precision. Additionally, the YFL-372 features an offset G key system, as well as a completed silver-plated body, and ergonomic key positions.